Prior to 1994, Phoenix-based DoubleTree Hotels had a poorly defined image and a middle-of-the road positioning. In order to more quickly gain a foothold in the Eastern United States, DoubleTree merged with Guest Quarters, an up-scale executive suites chain headquartered in Boston. A significant upgrade of DoubleTree flagship hotels and phased improvement of second-tier properties would help reposition the company on par with the more upscale national chains. 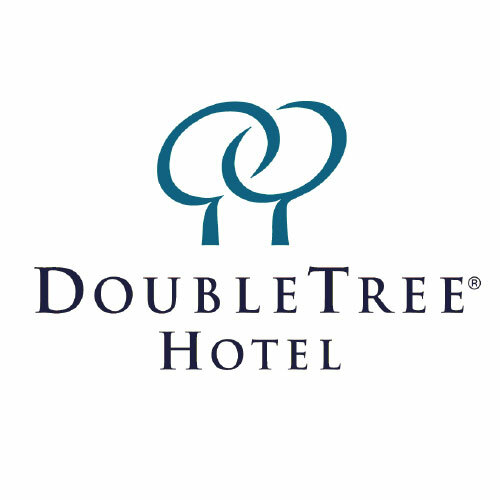 The new DoubleTree symbol builds on the equity of DoubleTree’s old twin trees mark; the interlocking trees suggest the connection of the Hotel to its customers while also heralding the merger of Doubletree Hotels and Guest Quarters Suites, under the DoubleTree brand.